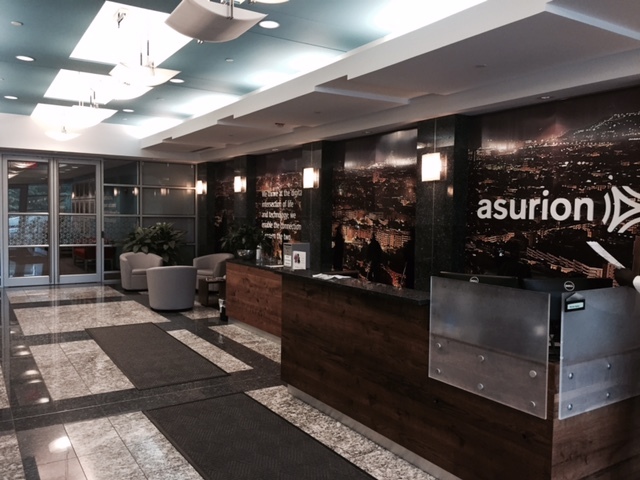 As a global employer, Asurion has employees and teams across multiple continents and time zones. In the US, we have three technology home bases: San Mateo, CA; Sterling, VA; and Nashville, TN. San Mateo is in the heart of Silicon Valley and our office there is focused on mobile development, Android/iOS, and end-user facing applications. Sterling is a perfect base, in close proximity to Washington DC and a brief train ride to New York, with a primary focus on developing our integrated future state application platforms. Nashville was recently highlighted by ZipRecruiter as an up-and-coming city for tech jobs and by Forbes as one of the Cities Creating The Most Tech Jobs. Our teams in Nashville provide capabilities and services across all aspects of our global operating model, including architecture; data science and analytics; desktop support; and all types of front-end and back-end development. So, how can you get noticed at Asurion? Our technology recruiters agreed on several areas: present a succinct and perfectly edited resume; show a strong educational and work background. Also, taking the time to complete certifications in your area of expertise and showing initiative through various projects can help you reach the next step. At the interview stage, you can expect interviews that may include phone and onsite, where you should come prepared to talk about the “core principles and basics of coding languages, and be prepared to ‘whiteboard’,” says Recruiter, Marcia Wimmer, who’s based in Sterling. Unsurprisingly, Vandevier’s world of constant change involves various projects, such as a recent initiative he describes that “used mobile, cloud, and Optical Character Recognition (OCR) technology to create a cool new capability called ‘text to register.” This capability “enables our customers to register products” by sending a copy of their receipt using one of today’s simplest methods – text. Are you one of those really smart people? Some of Asurion’s greatest tech needs going into 2016 are for Pega and Tibco Developers, Technical Analysts, Project Managers (ScrumMasters), Big Data Engineers, iOS and Android Developers, and Java and QE Managers. Click here to take a look at the opportunities we have available right now.